(September 17, 2015; Toronto) SHOP.CA and FireFly Direct announced today that they have entered into an exclusive agreement that will power a soon to be launched SHOP.CA Neighbourhood Marketplace in Canada. SHOP.CA is responding to queries from local merchants looking for an online market with the launch of SHOP.CA Neighbourhood Marketplace within a year. The customized e-commerce site will allow customers to purchase products and services from their favourite local stores and they can schedule delivery times at their convenience. FireFly Direct will power the last-mile delivery trucks to pick-up from neighbourhood stores and deliver to the customer’s doorstep at the scheduled time. SHOP.CA members will be able to join their neighbourhood marketplace club with an annual subscription that provides access to neighbourhood stores, features, specials, perks and they can schedule the delivery at a convenient time period including same-day, next-day or other options. SHOP.CA Neighbourhood Marketplace will give customers daily deliveries and the opportunity to earn Aeroplan miles while buying neighbourhood products and services. Full details will be provided over the coming weeks. Neighbourhood merchants will be able to list their products on the new SHOP.CA Neighbourhood Marketplace and FireFly Direct will pick up customers’ orders directly from local stores. “With leading-edge new electric trucks, short routes and delivery optimization technologies, we know we can drive down the costs and timing of deliveries for customers and merchants,” said Hugh St Amour, Director of Operations of FireFly Direct. To ensure the greatest flexibility and customer satisfaction, FireFly Direct will be rolling temperature-controlled trucks with electronic delivery tracking featuring real-time shipping alerts. Neighbourhood store interest has been strong, and the target products include both fresh produce and packaged goods. SHOP.CA Neighbourhood’s vision includes the ability to order everyday essentials including milk, fresh fruits, vegetables, frozen foods, packaged goods as well as household items, health and beauty products, beverages and more. This new Neighbourhood Marketplace is a massive leap forward in the Canadian online shopping space. Giving Canadians the convenience they are demanding, this program also provides neighbourhood merchants who have been looking for a trusted e-commerce and local shipping solution a new service offering. The time has come for Canadians to have their own local neighbourhood marketplace; a model that has been proven to be successful in other countries. SHOP.CA and FireFly Direct will bring the same experience to Canadians. FireFly is a same-day subscription based delivery service that connects shoppers with local merchants. FireFly provides quick, safe, scheduled on-demand green deliveries from local neighbourhood merchants to customer’s front doors. Easy to use web and mobile apps provide both merchants and shoppers with full order visibility from the time it leaves a merchant till the time of delivery. FireFly was founded by pioneers in the online home delivery channel. With over 70 years of supply chain experience, including startups such as GroceryGateway.com and CubeRoute, FireFly can provide last-mile home delivery services. 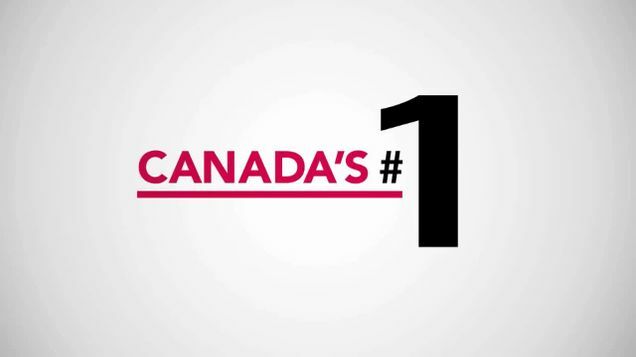 Canada's first multi-merchant marketplace, SHOP.CA is one of Canada's largest e-Commerce destinations and fastest growing retailers. Launched in July 2012, SHOP.CA offers Canadian consumers an easy, compelling and convenient shopping experience that is differentiated through vast selection of top brands, exceptional service and a loyalty program that has millions of active members.